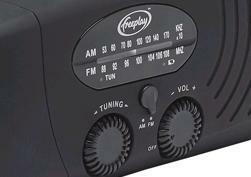 The Freeplay Companion (pictured above) is a new wind-up radio, torch, and mobile phone charger from Freeplay. We recently reviewed the excellent EyeMax Freeplay Radio on the REUK website, so we were looking forward to reviewing the Companion which has the added benefit of mobile phone charging capability. The Freeplay Companion is fitted with yet another brilliant three-phase alternator containing six N35H grade neodymium magnets. The magnets are fitted skewed to minimise cogging ensuring very smooth hand winding. One minute of winding will give 20 minutes of radio play (at low to medium volume), or 30 minutes of torch light. A tiny LED indicator shows when your winding is fast enough to charge the battery. A 5.5V 30mA epoxy encapsulated polycrystalline PV solar panel is fitted under a polycarbonate lens. In direct sunlight, this panel produces enough electricity to keep the radio powered continuously (at low to medium volumes). It also helps to keep the internal battery pack topped up when the device is not in use. A standard mini-USB socket is fitted through which you can charge the internal batteries via any standard mini-USB charger (or PC USB socket – cable not included). A full charge will give upto 12 hours of radio play. As with the Freeplay EyeMax, the Companion offers excellent sound quality – even at full volume. The fitted speaker is just 0.4 Watts but it is loud enough for use outdoors and on the beach as well as in a very large room. A headphone socket is fitted which also offers excellent sound quality (and reduces electricity consumption). Tuning the radio is very easy with both the FM and AM bands, and (particularly with the FM band) the reception cannot be faulted despite the fitted aerial being just 300mm long at maximum extension. The Freeplay Companion is fitted with an LED torch with a polycarbonate lens. The three LEDs put out a decent amount of light, and 30 seconds of winding will provide around one minute of torch light. You can press the torch switch all the way down until it locks for continuous (hands free) operation, or press (and hold it) half way down to light the torch as and when you need a burst of light. From a fully charged battery, the torch will shine for 16 hours. A new style Nokia charging cable is supplied. One end plugs into the Freeplay Companion, and the other end directly into your (recent model) Nokia mobile phone*. A one minute wind will provide up to 2-3 minutes of mobile phone talk time (depending on the age and quality of the phone battery, local signal strength, and the phone model). * For phones from other manufacturers you will need to purchase a cable with a (standard) 1.3mm DC jack on one end, and the correct connector for your mobile phone on the other. In our review of the EyeMax we demonstrated how it is possible to replace the internal NiMH rechargeable batteries with higher capacity equivalents. With the Companion this is a much simpler endeavour since the battery pack is designed to be accessible and replaceable. The 3.6V 2/3 AAA pack can therefore be replaced every 3-5 or so years (as is unfortunately necessary) with what is a very common (and therefore cheap) battery pack found in many cordless telephones , walkie talkies, and radio controlled toys. The battery bay is accessed with the removal of just one screw. 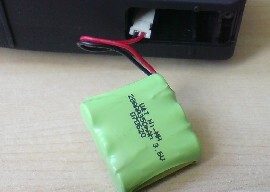 The Freeplay battery pack is connected to the radio by a standard plug in connector as shown above. Therefore, the Companion truly can last for a lifetime. The Freeplay Companion is designed to be carried around and is just 125mm wide, 60mm high, and 42mm deep, and weighs around 225 grams. A fabric wrist strap is included in the package for ease of carrying. As with all recent Freeplay products, the Companion is very well built from good quality materials. The case panels are fully rubberised and reinforced, and a rubber gasket seal helps keep moisture out. The volume and tuning control knobs are recessed to that they are less likely to be damaged by impacts, and torch on button is rubber sealed. We highly recommend the Freeplay Companion . It does everything you would expect of it very well, it is sturdy and well built, well priced (around £20), and it will last for a very long time. 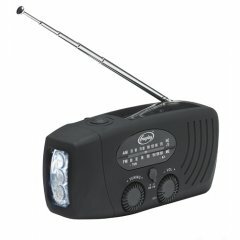 Thanks to the ease of access to the internal battery pack, less people will throw away their wind-up radio after a few years when its batteries stop holding charge well, and the addition of a mobile phone charger is a great benefit (particularly if you have a Nokia phone). This product is the first thing I’ll be packing when I go on holiday this summer or on a picnic or barbecue. For more information about the Freeplay Companion, click here to visit the official Freeplay Companion product page on the Freeplay website.